at it, people have real jobs in this world. It’s not that bad, man … what we do (as golf professionals). We work a lot of hours during those (in-season) months, it’s what you do.’’ Altobello considers his strengths to be his love of the game, organizational and tournament operations skills, and his personality. “I think I’m pretty approachable, I’m always willing to help out and I’m easy to get along with,’’ Altobello said. “I’ve spent most of my career just trying to give back to a game that has given me so much. And I’ll always be doing that.’’ With these attributes, Altobello becomes just the 12th head professional at Springfield CC, which was founded in 1897. “I’m coming from a different situation, coming from a public course,’’ Altobello said of Tekoa. “But at the end of the day, you want to treat people like you want to be treated. At both clubs, people are here for golf and just want to have fun doing it. People have their lives, and they just want to get out and have fun. They want to relax, whether it’s Springfield Country Club, Tekoa or Shinnecock. E.J. Altobello holds his finish after swinging a club at Springfield Country Club in West Springfield. Bradenton, Fla. Soon after, he began in the industry on the turf side, at Venice Golf & Country Club. “I had no experience, but I had met some people on the turf end and I ended up getting a turf degree from Edison Community College (in Fort Myers, Fla.),’’ Altobello said. in 1998 and 1999, and he moved up when Sullivan left. “At some point, I took over it (superintendent duties) over,’’ Altobello said. “(Current Springfield CC superintendent) Jedd Newsome was there, but he left for The Ranch and I sort of took over. We tried to find someone, but nothing ever came along. I was doing it in the interim, and I knew I could do it.’’ Altobello, who lives in Westfield with wife Michele, earned Class A membership with the PGA of America in 2003 and last year he was honored with the Youth Player Development Back home, Altobello followed Hunter GC pro Steve Award through the ConSullivan when he moved to necticut Section PGA. He the head pro job at Tekoa CC. has also been very active New Springfield Country Club head golf professional E.J. Altoon numerous committees, “He said I know you’re bello has had a busy spring in the pro shop. including the Western doing turf, but I need an assistant pro,’’ Altobello re- Mass. Golf Hall of Fame Julius Boros Challenge Cup head pro at Wyckoff CC, and called. “I started by making and the Junior PGA League. Matches this spring. superintendent Alan Young He has also been selected $250 a week.’’ (The Ranch, Southwick, Tekoa CC has hired Rick He worked under Sullivan as a captain’s pick for the Leal, longtime assistant and Springfield CC, etc.). Western Mass. Tee Party honoree Mike Bechard begins his 13th season as head golf professional at Ludlow Country Club. Above: Mike Bechard of Longmeadow shows his playing form. The Ludlow Country Club head professional will be the guest of honor at the 2019 Western Mass. Tee Party. Right: Mike Bechard, head golf professional at Ludlow Country Club, takes a moment in his pro shop. The Western Mass. Tee Party honoree considers merchandising to be among his professional strengths. what I wanted to do.’’ Bechard said he and a friend took a Columbus Day Weekend trip to Florida that year, in hopes of lining a job for the winter. 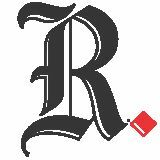 “We both found jobs, went back for the winter and he didn’t like it,’’ Bechard said. an 11-year run at Greenock CC in Lee. The nine-hole Ross design was an ideal fit for the East Forest Park native, but it only made sense to return to Ludlow when O’Neill retired. “I loved it a Greenock, but the job opened up when Bobby left, and I came home,’’ Bechard said. Today, Bechard said his strengths within the industry are his organizational skills, his love of running tournaments and merchandising in the pro shop. At home, he and his wife, Lynn, have raised Rachel and Michael. Rachel is on course to graduate from RPI in 3½ years, with an interest in aerospace engineering. Michael is a playing golf as freshman at Eckerd College in St. Petersburg, Fla. The Tee Party, named after longtime emcee Rollie Jacobs, began in 1947. Other honorees with affiliation to Ludlow CC include Art House (1961) and O’Neill (1998). EAST MOUNTAIN COUNTRY CLUB Open To The Public 1458 East Mountain Road Westfield, Mass. LONGMEADOW - In golf terms, Roberta Bolduc is taking relief. The Longmeadow resident quietly retired from her longtime, volunteer role as a United States Golf Association championship competition rules official, and she’d have it no other way. Bolduc has stepped away after helping officiate 50 national championships, including 22 Women’s Opens and five U.S. Opens. “It’ll be sad not to be out there again, but it was time … it was just time,’’ Bolduc said. And like any great official in any sport, if you’ve done your job … no one notices you. “Sometimes I’ve had to pinch myself, because it doesn’t all feel real. There were some incredibly magical moments and memories. The places it has taken me in this world and to where I’ve been inside the ropes.’’ Her first major assignment was a three-year project that was greeted with great fanfare, when she served as the general chairman of the 1995 U.S. Girls’ Junior at Longmeadow Country Club. The field includes the likes of champion Marcy Newton, Cristie Kerr, Candy Hannemann and Grace Park. Bolduc found her place as an on-course rules official with the USGA, often finding herself walking with final-round groups in contention for major championships. Top: Team captain Roberta Bolduc, left, and U.S. World Amateur Team members Jessica Korda, Danielle Kang and Cydney Clanton. The team won the silver medal in 2010 at Buenos Aires, Argentina. Above left: Roberta Bolduc, right, and the 2008 U.S. Curtis Cup team stand in front of the clubhouse at the Old Course at St. Andrews in Scotland. Above right: Roberta Bolduc hands the U.S. Women’s Open trophy to Cristie Kerr, left, in 2008. Ten courses surrounded by majestic mountain views. Fall in love with the game all over again. and really just snatched it away from Morgan Pressel. “And I was with the last group at Interlachen. It was Annika’s last Open (2008) and she was a hole away from me. When she holed out for eagle at the last hole, I didn’t see it from where I was. But the roar? The ground shook from the crowd noise. It’s something I can still feel. “And Jenny Chausiriporn, who made that long putt at Pumpkin Ridge to tie Se Ri Pak (in 1998). Her reaction after she made it and the noise was just overwhelming. The whole hillside rose at once. Some moments are just absolutely indelible in your mind, and always will be.’’ Count hallowed Old Course at St. Andrews in Scotland among them, where she delivered an opening ceremony address during the Curtis Cup Matches in 2008. “That was the true height for me, I was chairman of the Women’s Committee,’’ Bolduc said of the committee that conducts the USGA women’s championships. “So I was the one speaking on behalf of the USGA at the opening ceremonies, standing in front of the Royal & Ancient. It was so magical, the three flagpoles, the national anthems. It was all I could do to keep myself together out there. “And we had complete access to the clubhouse, and that was before they admitted women as members. All the great golfers who have ever lived, they have their names on the lockers in there. Palmer, Nicklaus, all of them …” She spent 12 years on Women’s Committee, including two as chair, and today she counts a pair of former members - who were also her childhood idols - as two of her best friends. “Judy Bell and Barbara McIntyre were the best amateur golfers anywhere and they were my idols growing up,’’ Bolduc said. “And through the years, it’s amazing that through the USGA they became two of my best friends. Above left: Roberta Bolduc raises the American flag at World Amateur team festivities in 2010 in Buenos Aires, Argentina. Above right: Roberta Bolduc, right, and U.S. World Amateur team members Danielle Kang, Jessica Korda and Cydney Clanton. The City of Springfield provides a long history of providing quality conditions at two municipal golf courses. PGA JUNIOR LEAGUE at Franconia! BOOK YOUR GOLF TOURNAMENT NOW! events.’’ In between, life brought Bolduc back to Western Massachusetts when her father retired from the U.S. Air Force. She “married the boy next door (Bob, a successful local businessman)” and she has always been grateful to have had the opportunity to raise Kathleen (now a mother of three) and spend the majority of her adult life in volunteer capacities. In addition to the USGA volunteer experiences, Bolduc became the first woman to serve as president of Longmeadow CC (in 1999) and as chairperson of its golf and green committee. She was also inducted into the Western Mass. Golf Hall of Fame. Bolduc plans to play at least three times a week again this season, and will still be involved in national, regional and state level qualifying competitions. How to help kids get into golf Golf is a game of skill that can take years, if not decades, to master. Though many players never swing a golf club until they reach adulthood, it’s never too early to hit the links. Some of the world’s most accomplished golfers, including four-time Masters champion Tiger Woods, began playing as toddlers, and many feel that getting an early start can lead to a more successful game down the road. Getting kids into golf is a great way for parents to bond with their children while enjoying the great outdoors. Golf can also be used to teach kids humility, sportsmanship and the importance of hard work. Thanks to the often frustrating nature of golf, parents may find it somewhat challenging to instill a love of the game in their youngsters. But there are ways to introduce kids to this wonderful game that kids might just play for the rest of their lives. SINCE 1983 • RE-GRIPS & RE-SHAFT WHILE YOU WAIT! Exit 40 off Interstate 91, take Route 20 West, at 4th traffic light turn right onto East Street. Airways is 2 mi. ahead on the right. Cherry Hill Golf Course - A Course for Everyone For more information call: 413-256-4071 or Visit cherryhillgolf.org NO TEE TIMES POLICY MEANS YOU CAN PLAY ANYTIME YOU FEEL LIKE IT! • Hire an instructor with experience teaching children. Instructors with experience teaching children will understand the basics of the game and how learning those basics provides a great foundation for future enjoyment and success on the course. Instructors who have taught kids in the past also know that teaching youngsters the finer points of golf requires patience and encouragement. Ask a fellow parent or an employee at the club where you play to recommend an instructor for your child. And take advantage of any kids’ courses your club offers. • Play some holes. Instructors may teach kids the differences between the types of clubs and how to swing and putt. But golf is most fun when players are out on the links going from hole to hole. Instruction is important, but don’t forget to play a few holes with your child each week as well. • Focus on having fun. Few, if any, golfers at your local golf course on a given weekend could say with certainty that golf has never frustrated them. The challenge of golf may be its most appealing characteristic to older players, but young kids can be easily overwhelmed by the challenges golf presents. By focusing on having fun instead of perfecting techniques, parents can get kids to look forward to their time on the links. The more fun kids have, the more likely they will be to embrace the game and its many challenges. Don’t put pressure on youngsters as they develop their games, but encourage them through their struggles and reassure them that you faced the same obstacles when you started playing. • Purchase the correct equipment. Even the best golfers are bound to struggle when using the wrong equipment. While it might be unwise to invest in especially expensive equipment for youngsters likely to grow out of it in a few months’ time, deals can be found on used kids’ equipment. Used kids’ equipment is typically subjected to less wear and tear than used equipment for adults, as kids tend to play less often and fewer holes than adults when they do play. But make sure to find correctly sized equipment that kids feel comfortable using. Interesting facts about golf entire round of golf, signified by a number. The lower the number, the better the golfer is.” • The word “caddy” comes from “cadet,” the French word for “student.” • A regulation golf ball contains 336 dimples. Golf is played all over the globe. Golf is one of the world’s oldest sports, boasting a rich history. Golf is a sport of skill, that can involve not only athletic prowess, but also brain power. Here are some interesting facts about the game. APRIL WEEKDAY SPECIAL 18 holes w/cart ea. NEW: Fox Pass Enjoy big savings at CFC when you prepay for your rounds by purchasing a 2019 Fox Pass! Fox Pass valid for: 18 hole greens fees, cart & range balls. Don’t delay, contact us today! Deadline to purchase is May 15, 2019. Reasonable terms and conditions apply. Visit GolfTheFox.com for details. SIX PRO LESSONS ONLY $50! • All ages & skill levels welcome. • $50 per person for six lessons. • Morning lessons begin at 10 am • Evening lessons begin at 6 pm Instructors at individual clinics may decide to vary the times after the first lesson. 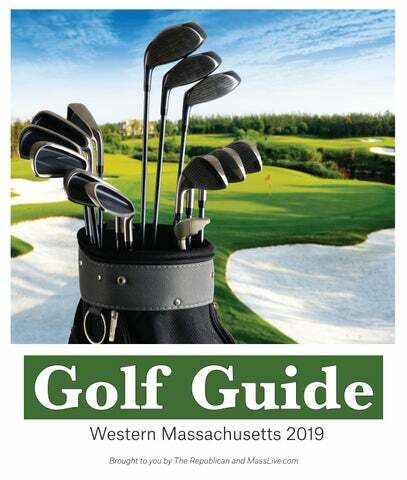 All there is to know about golf in Western Massachusetts.